You sat in the sun too long. before I embraced my skin. “chocolate” *eye roll* skin is a trend. learn to love you and forget them all. My coping mechanisms were a distraction. Elementary me was a freaking disaster. Where was this campaign then? What happens when Westerners stop darkening their skin and say Oh no no! This is no longer in? What happens then? What about the young girls who just want to build confidence? I pray they don’t go through the hell that I did. 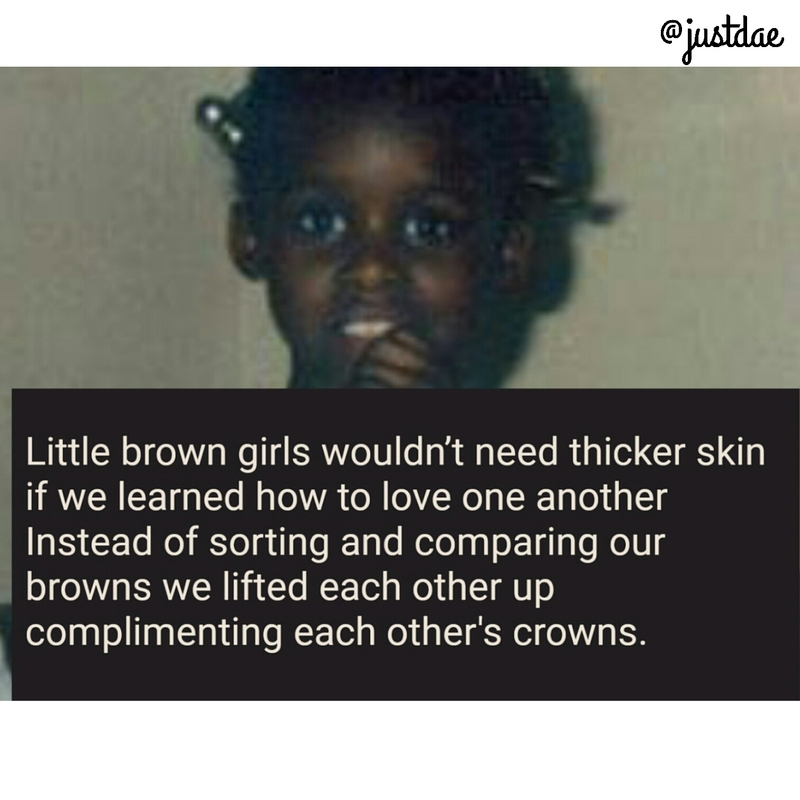 Instead of sorting and comparing our browns, we lifted each other up complimenting each other’s crowns. *I have so many poems and posts that are in my drafts. Today I was feeling this one. ☺️ Happy Wednesday.